Are you looking for a way to increase productivity, reduce errors in counting units produced, and display production efficiency? 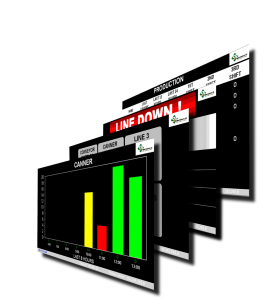 The Metric Display System increases productivity by capturing and publicizing real-time production metrics. No more waiting until the end of a shift to know productivity results. This system is and easy to configure, automated solution, which counts and displays production line throughput and rejects. The Metric Display System consist of a Display Station and Counter Stations. A Counter Station is mounted next to a production line or manufacturing machine. The Counter Station captures the number of units produced, displays the total count on a local LCD screen, and wirelessly transmits the metric to the centralized Display Station. 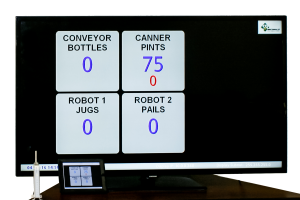 The Display Station wirelessly gathers metrics from multiple Counter Stations and displays metric screens on a standard TV or computer monitor. 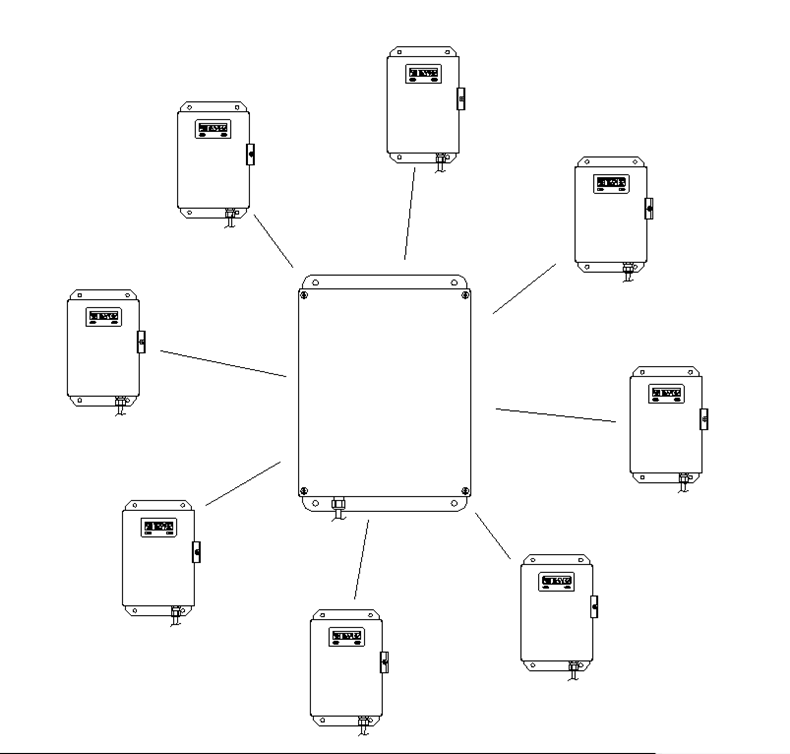 In addition, the Display Station will connect to a local area network (LAN), allowing remote access with any web-enabled device. In addition, this data is stored in a standard .CSV file, allowing it to be imported into databases. By capturing productivity metrics and communicating it, real-time awareness of production efficiencies improve . 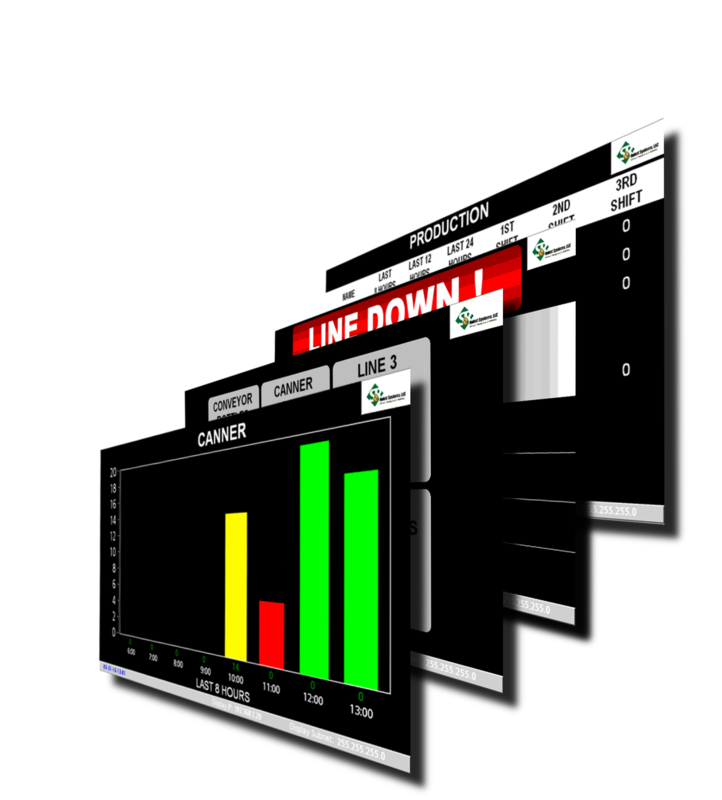 Every plant floor operator, office manager, and executive has easy access to view real-time production metric data. The Metric Display System is designed to operate in an industrial indoor environment. The wall mount enclosures plug into a standard 120 VAC outlet, no electrical wiring required. The system configuration is performed on a standard web-browser, by connecting a host computer to the Display Station. 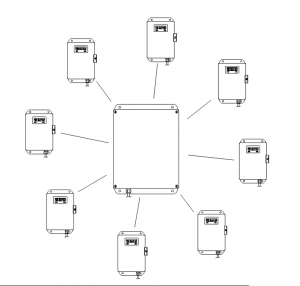 All set-up is performed on configuration pages, no programming necessary. 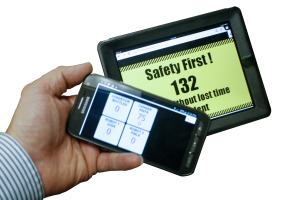 Adding more counter stations to the Metric Display System is simple and fast to deploy. up to 30 Counter Stations can be used on one system. 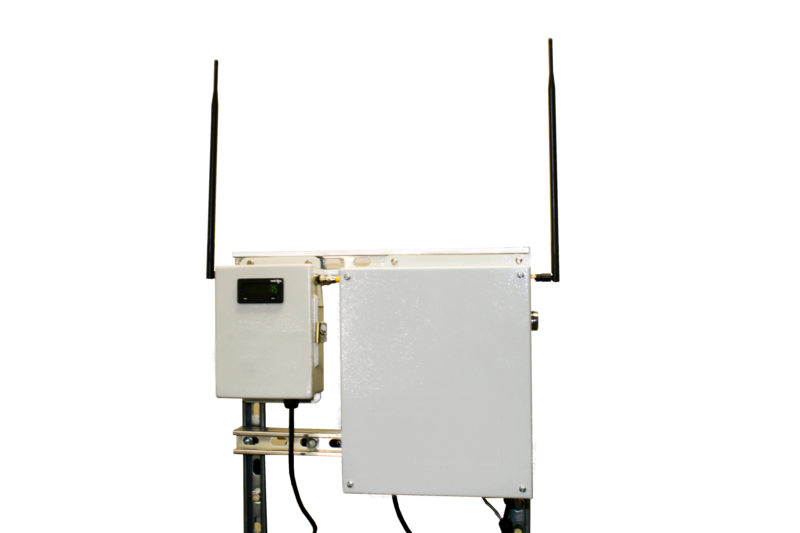 The only actions required are to 1) mount the new Counter Station, 2) pair the wireless radio, and 3) configure the set-up pages for the new counter. S&R Robot Systems can customize the Metric Display System to meet your manufacturing needs. Key measurement indicators such as run time hours, tank levels, dwell times, preventative maintenance task, and/or basic timers can be custom build and added to the display system. In addition, trained personnel have access to customize the Metric Display System. A free, downloadable software is used to modify the systems programs.